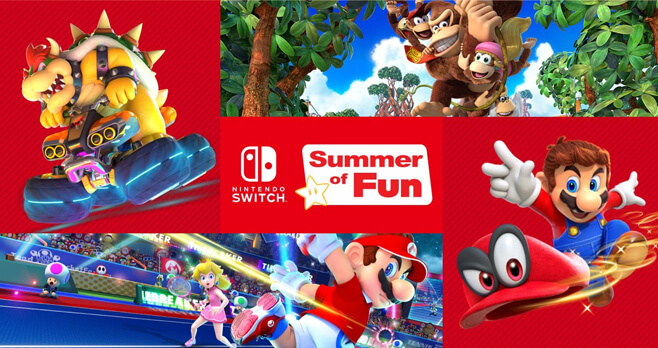 Nintendo Switch wants you to have a summer of fun by bringing you an all-new Sweepstakes. Enter the Nintendo Switch Summer of Fun Sweepstakes by August 26, 2018 and you could win round-trip travel for a family of four to any Southwest Airlines destination or a Nintendo Switch system prize pack. Ends: Runs through Sunday, August 26, 2018 at 11:59pm PT. Prizes: First Prize Winners will get airline travel for four roundtrip to any destination where Southwest Airlines flies while Runner Up Winners will receive a Nintendo Switch system prize package. Eligibility: Sweepstakes is open only to legal residents of the 50 United States (excluding New York and Florida) and District of Columbia who are My Nintendo members and at least 19 years old at time of entry.